Director John Frankenheimer had his pulse on the State of the Union when he directed this political thriller set in the White House amidst the height of the Cold War. Coming, as it did, on the heels of his 1962 release of Richard Condon's "Manchurian Candidate", these two films are a blueprint of what was happening in Washington during those years. President Kennedy watched "The Manchurian Candidate" at least three times in 1962 and 1963. 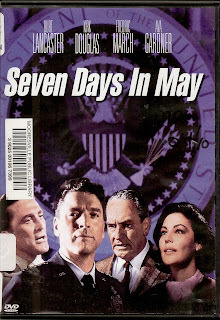 When "Seven Days In May" was being considered for production, the President went so far as to phone Kirk Douglas, urging him to make the film. Briefly, this film concerns the Joint Chiefs of Staff, the military group which surrounds the President and advises him during times of National peril. They wield enormous power. Although by theory they serve to implement the President's decisions, the possibility always exists that they have the capability to assert the ultimate control in the form of a coup. Most people think that this can never happen here in America, while some think that it has already happened, at least once. In reality, this film was made during the time that President Kennedy was pushing through his landmark Test Ban Treaty in the summer of 1963, shortly before his assassination. In the movie, the President is making the case for a Test Ban Treaty while under pressure from the Joint Chiefs of Staff, who not only oppose the President, but in some cases actually question his motivations. When an alert Officer, Colonel Casey, played by Kirk Douglas, accidently comes across some things that make no sense, he begins to piece together the plot that is being assembled by fellow Officer General Scott, played by Burt Lancaster. When Casey approaches the President with his suspicions, the President, played by Frederic March, is skeptical. But when all the facts are gathered before him there is no denying the obvious and the President is forced to act. Edmund O'Brien is brilliant as the Southern Senator Raymond Clark. With his love of whiskey and spot on impersonation of a Southern Senator, he lends a sense of outrage to the plot that would destroy our system of government. 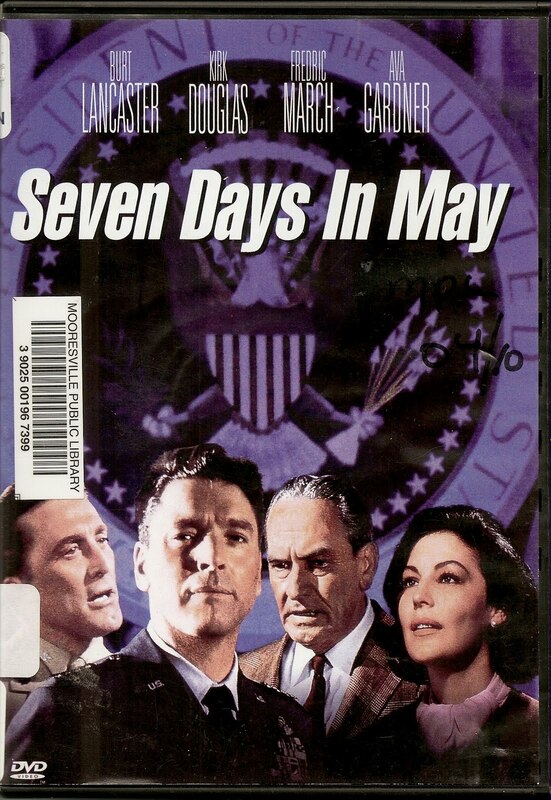 This film, along with The Manchurian Candidate" (the 1962 version) both shed light on what was really happening in the early 1960's in relation to the Cold War and our own politics here at home.